In June, I highlighted the research being carried out in the archives of the Mahon Strokestown Park estate, Co. Roscommon by historians at NUI (National University of Ireland) Maynooth. Lead by Dr. Ciarán Reilly, they aim to learn more about the lives of the estates' tenants during the Famine and the passage to Canada of many of them, both assisted and unassisted. Dr. Reilly has kindly provided an article to Townland of Origin to highlight this work. He would like to hear from descendants who have knowledge of these Famine-era emigrants. You can contact him on Twitter at @ciaranjreilly, or via the Centre for the Study of Historic Houses and Estates. 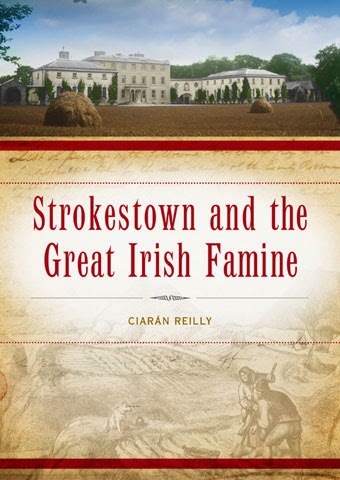 Dr. Reilly's new book 'Strokestown and the Great Irish Famine' will be published this month by Four Courts Press in Ireland. He also runs the Great Irish Famine blog. The unveiling of a memorial wall by An Taoiseach Enda Kenny TD at the Irish National Famine Museum at Strokestown in May 2014, to mark the National Famine Commemoration, highlighted the ongoing efforts to locate Irish Famine emigrants from county Roscommon. The research is led by Dr Ciarán Reilly of the Centre for the Study of Historic Irish Houses & Estates, NUI Maynooth. Much of the information on emigrants is gleaned from the voluminous Strokestown archive, a collection of more than 50,000 documents, the vast majority of which pertain to the Great Irish Famine. In total, Dr Reilly estimates that almost 5,000 people emigrated from around the Mahon estate at Strokestown during the Famine, with 1,490 part of an ill-fated assisted emigration scheme in 1847. Upon the death of Rev. Maurice Mahon, third baron Hartland, in November 1845, Major Denis Mahon inherited the 11,000 acre Strokestown estate in county Roscommon. Years of neglect and mismanagement meant that the estate was now almost £30,000 in debt. In an effort to radically overhaul the problems of gross overcrowding, subdivision of the land and mounting arrears, John Ross Mahon, the land agent, devised a scheme of assisted emigration. For the estate administration this made economic sense; to keep the people in Roscommon workhouse would cost over £11,000 annually whereas a once off emigration scheme would cost £5,800. In May 1847 1,490 tenants left from the Strokestown estate for Quebec in British North America (Canada). They were accompanied on their walk to Dublin, via the Royal Canal footway, by the bailiff, John Robinson who was instructed to stay with them all the way to Liverpool and ensure that they boarded the ships. The Virginius from Liverpool, with 496 passengers, had lost 158 by death, nearly one third of the whole, and she had 180 sick; above one half the whole will never see their home in the new world. Those who managed to emerge from the ship were described as ‘ghastly, yellow-looking spectres, unshaven and hollow cheeked.’ Dr. George Douglas who treated and spoke with the Mahon tenants at Grosse Île noted that some had even died at the River Mersey in Liverpool. It was also claimed that on arrival at Grosse Île, the ship’s master had to bribe his crew at the rate of a sovereign per corpse, to remove the dead from the hold. On the ship Erin's Queen, the situation was no better, 78 passengers had died and a further 104 were sick. Again, according to the Globe ‘the filth and dirt in these vessels hold creates such an effluvium as to make it difficult to breathe.’ While in harbour the ship was abandoned by the crew and captain who feared for their lives. On the ship John Munn more than 100 were sick and 59 were dead, while on the Naomi 78 were dead. Some of the names featured on the memorial wall at Strokestown also feature in an exhibition Emigrant Faces from county Roscommon which Dr Reilly designed for the National Famine Commemoration Week. They include the Tighes and the Quinns, orphaned by the voyage. A number of other emigrants also feature including Michael Dufficy, Edwin O'Beirne, Elijah Impey, Pat Hanly and Pat Kelly. 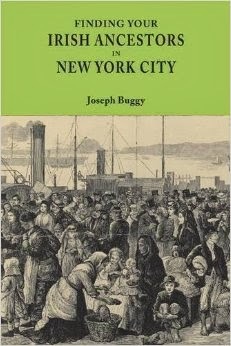 Most of the 1,490 cohort who arrived in Quebec in 1847 made their way over the ensuing months and years into American cities and towns. Relatively, few actually stayed in Canada. The search for the 1,490 assisted emigrants and other Strokestown natives who emigrated during the Famine continues. Thankfully, it is proving fruitful and the destination and subsequent details of as many as 300 of these has been ascertained. These details will soon been collated by Dr Reilly and made available in a number of formats. Visitors to the Irish National Famine Museum at Strokestown can now see the list of 275 families who were part of the scheme, their townland of origin and the number of family members who travelled. * In 1876 Mary Tarpey had the unique distinction of being the oldest person in Long Island, New York. Having left Strokestown in 1853, incredibly when she was then 84 years old, Tarpey attributed her longevity to a daily glass of whiskey! * A number of women and children who remained on the Strokestown estate in the aftermath of the Famine had been abandoned. They included Catherine Connor whose mother left for England; Maria Hanly abandoned by her father Peter who went to England and Margaret Kearns whose father went to Scotland. * Michael Hayden (1842-1917) of Strokestown emigrated to America in the wake of the Famine, settling in Washington D.C. in 1854. During the American Civil War he was a member of the home guard for the defence of Washington D.C. Later he worked in Gauster's French Restaurant in the city where he claims John Wilkes Booth and his companions hatched their plan to murder President Abraham Lincoln. * Daniel Tighe, one of the 1847 emigrants to Canada, appears on various Canadian census returns as Tay, Tyre, Thy and Tye. It is little wonder then that the search for Irish Famine emigrants often proves difficult. Teachta Dála, much the same as member of Congress, but specifically referring to the lower house of the Irish Parliament, the Dáil. Labels: 1840s, Assisted Emigration, Book, Canada, Expert, Famine, Immigration, Place of Origin, Roscommon, U.S.A.